It is reported that in a digital products blog, Gizmodo, a new dell mini 9 laptop was complained by customers. 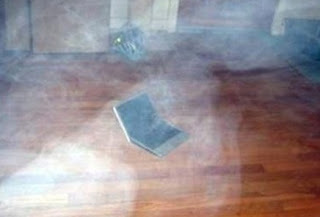 It happened that the laptop battery was overheated which caused the wooden floor burned seriously. According to the complaint record, after turning off and plugging the dell mini 9 netbook from the ac adapter, the user put the laptop to the wooden floor. Then he walked out of the door, and there followed a series of crashing explosions. When he came back to the room, he found that it was full of smoke and the laptop continued hissing with a large scorch-mark marred the floor. The user said that the netbook was bought in November 28th of 2008. In more than one year, everything was OK with the laptop. Everything performed normal to the laptop and the accessories before the accident. He was confused if there’s something wrong with the laptop battery for it was also burned. The website, Gizmodo, then helped the user to contact dell. After learned this information, dell provided a free dell laptop replacement battery to him. But about the cause of the accident, dell would have a further research and statement as soon as possible. Recently, the accidents of laptop batteries happen continuously. From mobile phone to laptop, many large enterprises are influenced seriously. Some companies have recalled batteries frequently which made the users worry about the battery safety. Actually, with all these events happened, not only a certain enterprise was injured but the whole battery market was faced a big challenge.